If there ever was a great reason to shell out ten bucks, the iPhone update would have to be it. 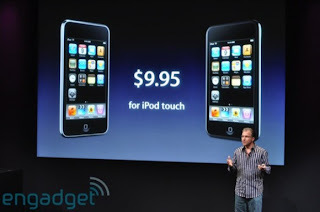 According to Apple’s Greg Joswiak, the iPhone OS 3.0 unlocks the Bluetooth functionality hidden in the 2G iPod Touch. We all knew and were desperately hoping the Bluetooth chip actually did something. So our hearts are glad, our minds at peace, knowing that we were right all along.